Postpartum recipes have been passed down orally for generations in Asia. Now a multilingual cookbook is attempting to preserve them. In many Asian cultures, new mothers are offered delicious dishes and nutritious soups after giving birth. The postpartum recipes fortify a new mother and ensure sufficient lactation for her newborn. These centuries-old traditions have been kept alive through orally sharing recipes and cooking for one another from one generation to the next. However, with growing assimilation of Western culture and a lack of documentation, this shared cultural knowledge may soon be lost. 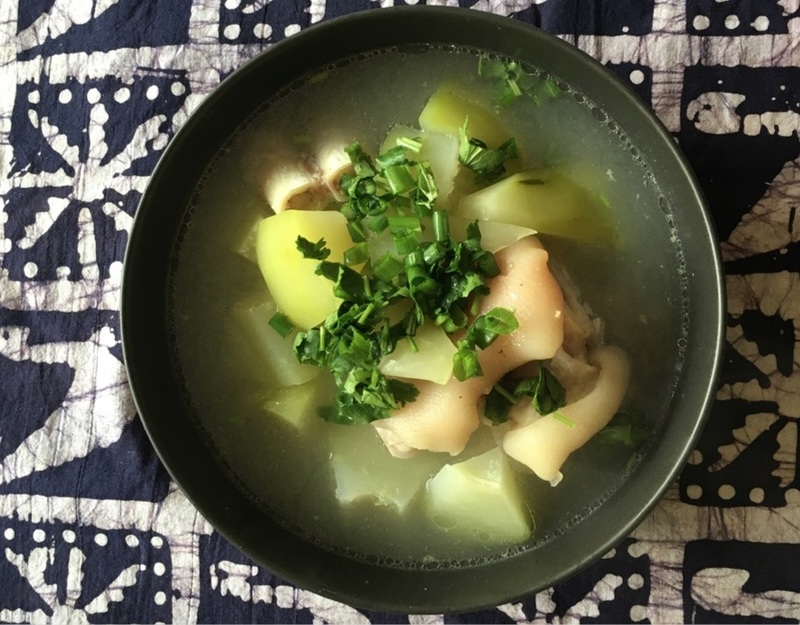 Interested in the preservation of these recipes, in 2014 students who were a part of the Asian Pacific Islander Health Research Group (AAPIHRG) at UC Berkeley started a Postpartum Nutrition Folklore Project. We interviewed our mothers, grandmothers, and other relatives to document the recipes in their original languages and then translated them to English. Some of us asked our mothers or grandmothers to cook the dishes and soups in person so we could write down clearer instructions (and sample the delicious recipes!) Others conducted the interviews via phone calls and video chats. Most of us were bilingual so we did the English translation by ourselves and asked friends and family members to review our spelling and punctuation. Ultimately, we collected over thirty recipes from six different cultures—Vietnamese, Chinese, Korean, Hmong, Cambodian and Filipino—and published them as a multilingual cookbook titled From Mothers to Mothers: A Collection of Traditional Asian Postpartum Recipes.